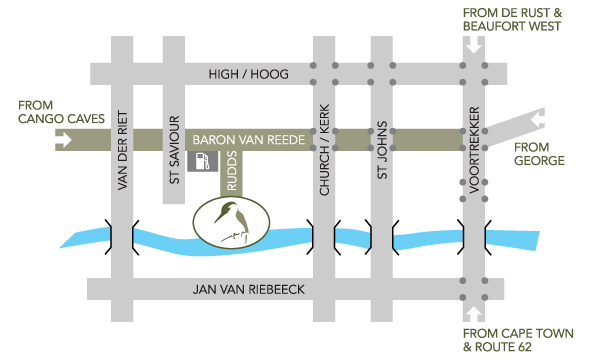 Sign posted along Baron van Reede St, the main street through Oudtshoorn. 100 metres after Church Street traffic lights in the direction of the Cango Caves, just before the Total Garage (on the left). 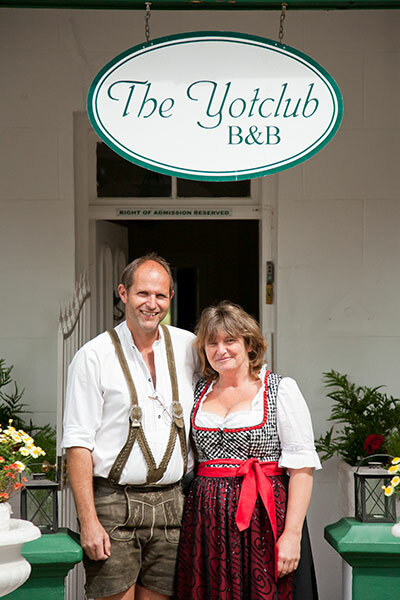 Map: Click here for a comprehensive map of how to get to the Yotclub B&B to take with you on your travels. You will need Adobe PDF reader to view this file. © Yotclub B&B, Oudtshoorn 2017. All rights reserved.